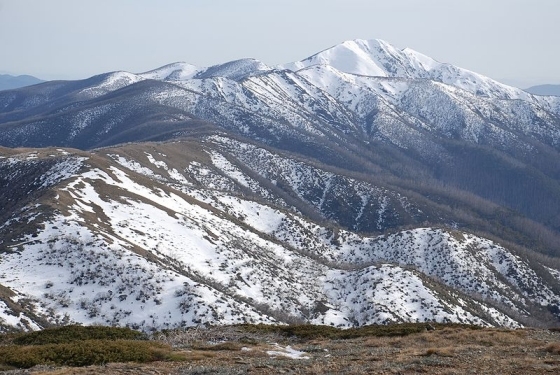 Poor visibility and icy snow conditions were encountered during this search on Mount Feathertop. 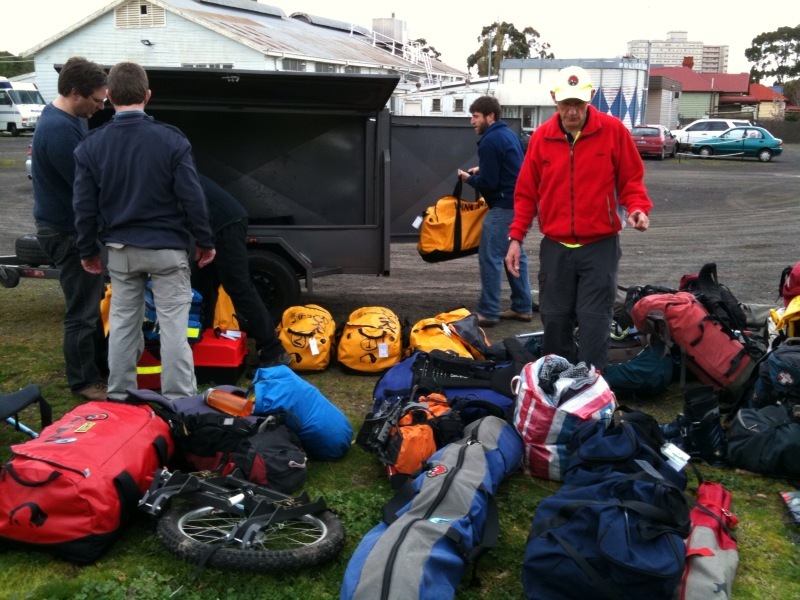 Bush Search and Rescue teams camped in the snow overnight and carried specialist winter rescue equipment including ice axes crampons, avalanche transceivers and probes, and snow shovels. The BSAR Field Organisers on this search were Rik Head and Frank Zgoznik. Monday 31/8. Search groups in the field and camped out. 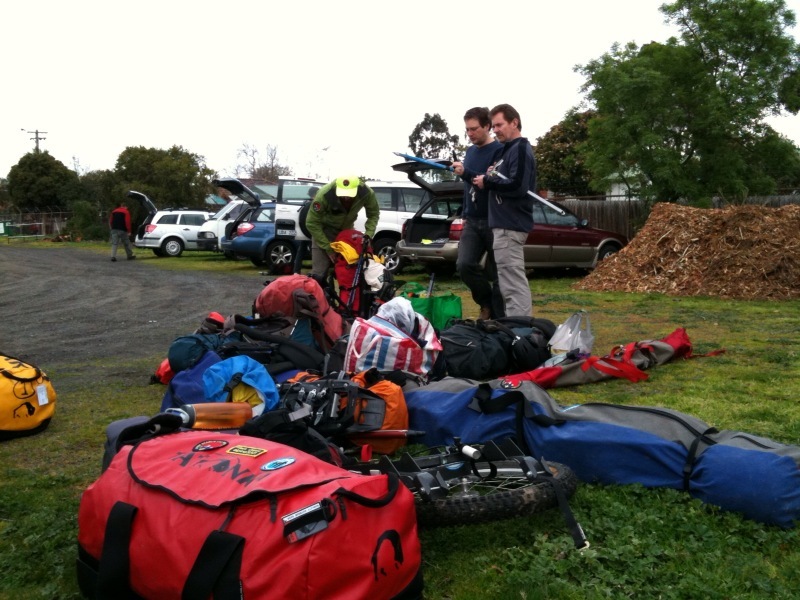 BSAR Search groups deployed to the search area on Mount Feathertop up Bungalow Spur and also via the North Razorback. Search teams reached their designated search locations camped for the night, ready to commence searching at first light on Tuesday. It was snowing and quite cold. There were 60 searchers in the field. Tuesday 1/9. Minister Holding rescued. Minister Holding was located by the Police Helicopter, winched out then returned to the search base at Bright. He was located on a spur off Little Feathertop about 3km from Federation Hut. BSAR searchers walked out in 4 to 5 hours and returned to Melbourne around midnight on the Police bus. Wednesday 2/9. After the search. Minister Holding recovered well after his ordeal. There has been considerable interest in using Personal Locator Beacons to issue emergency alerts in remote areas. For more information on this see PLBs. Loading gear in the trailer. Note wheel for stretcher and kit bags with steep snow and ice equipment.